One level home in super desirable Thurston neighborhood. Great floor plan boasting vaulted ceilings, new fingerprint resistant appliance package, updated flooring, Newer roof & HVAC system. New decking currently being installed. 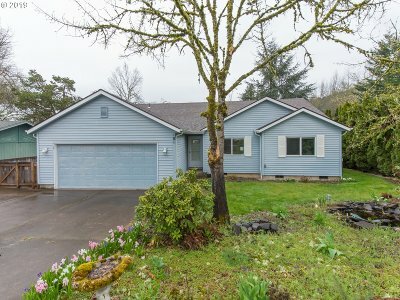 Ample concrete RV pad, Attached/finished 2 car garage.On the very edge of country living yet close to schools and shopping! Don't miss the VIRTUAL TOUR!